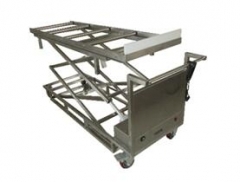 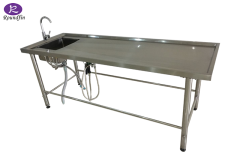 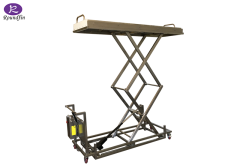 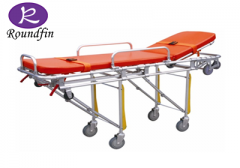 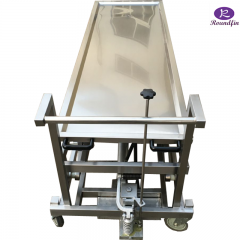 Product: Two sissors morgue corpses transfer lifting cart Model No. 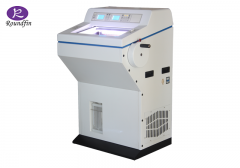 : RD-1531. 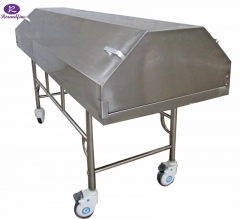 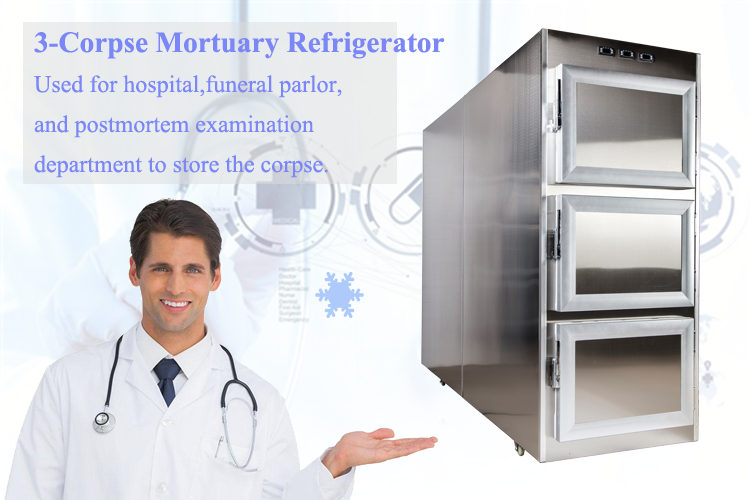 Description: Hydraulic Mortuary Body Lifter Material: Stainless steel 304 for all the material. 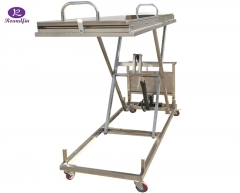 Performance: ---Lifting the height by electric from 500mm to 1800mm adjustable. 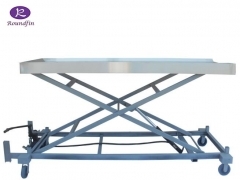 ---It is the model with 2 sisors lifter. 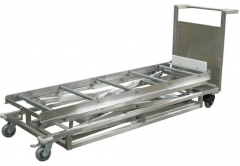 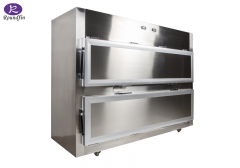 --The body tray is the separate one, and the body tray with 4 pcs wheels.